10″ Light Weight Aluminium case -Lockable catches. Size approximately external 29cm wide x 29.6cm height x 22.1cm depth. 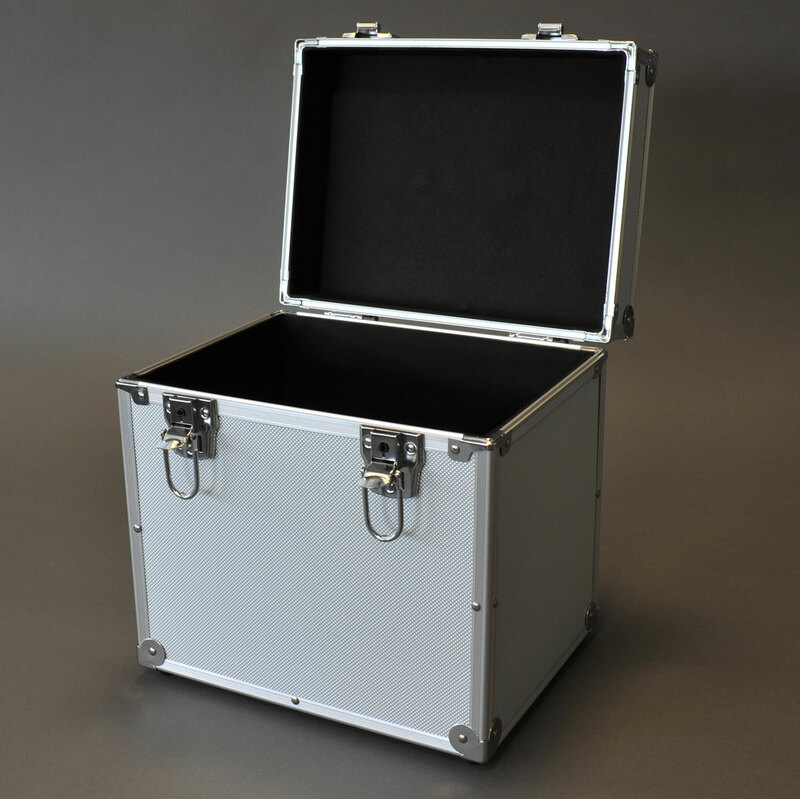 internal 27cm wide x 25.4cm height x 20.1cm depth. 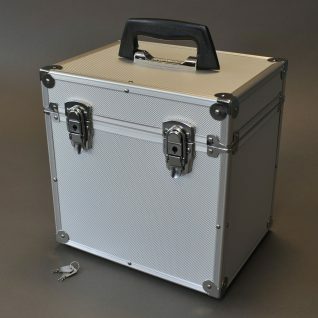 Our case for 10” vinyl, capacity 50, is only available in a silver finish. 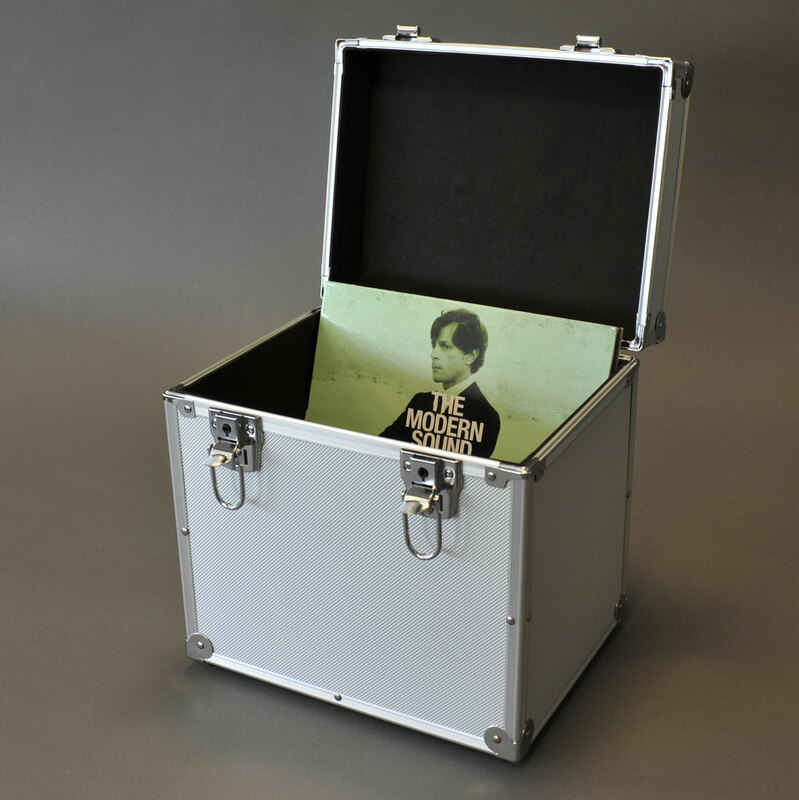 Lightweight, durable and easy on the eye, our aluminium record storage cases are perfect for all vinyl enthusiasts. 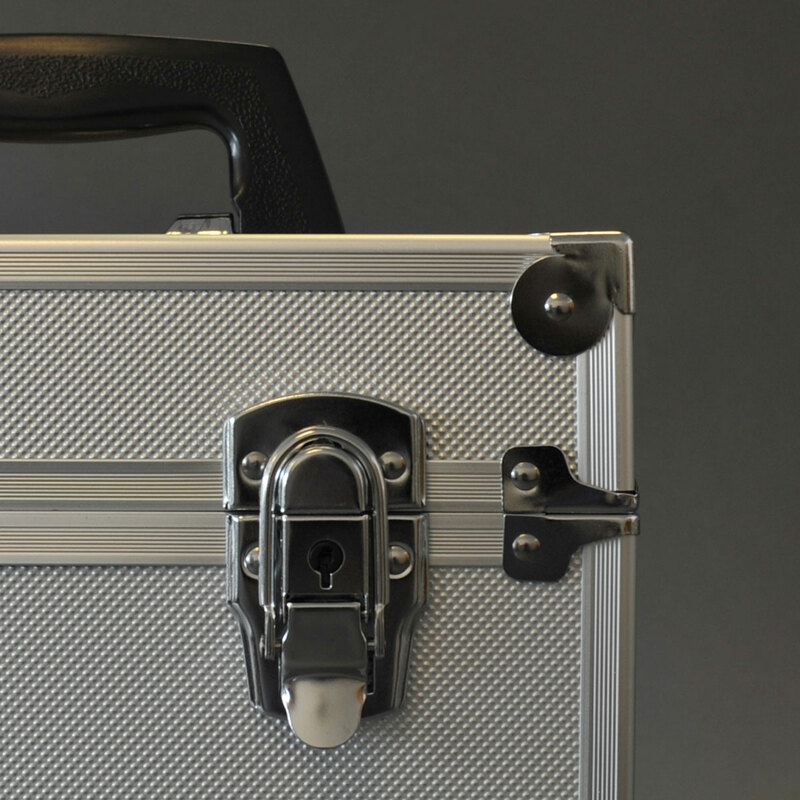 You can be sure that your records are well housed and secure. 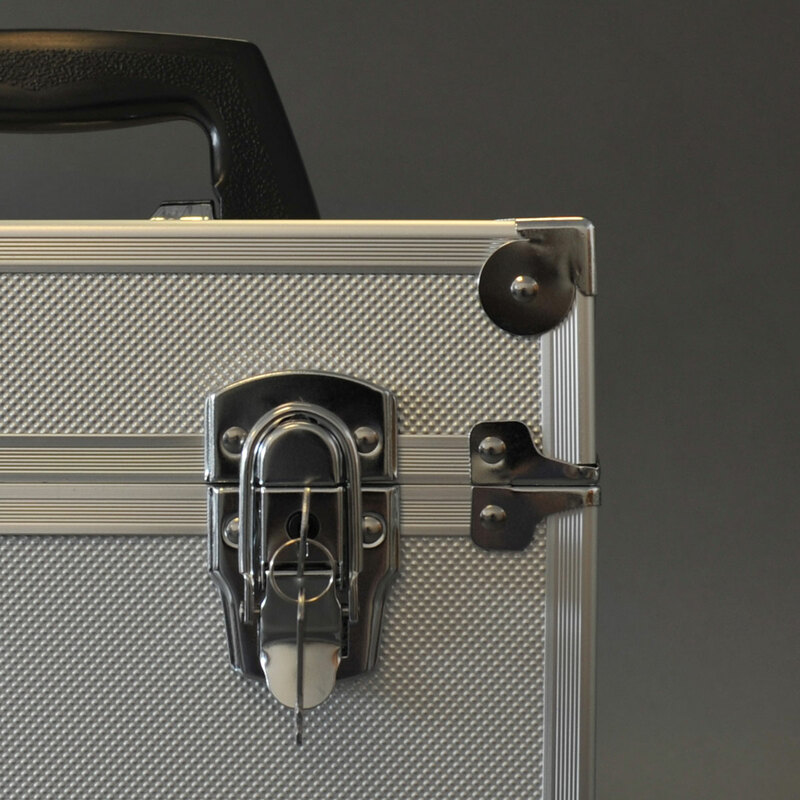 All our aluminium cases are lockable, so they’re safe away from prying eyes.